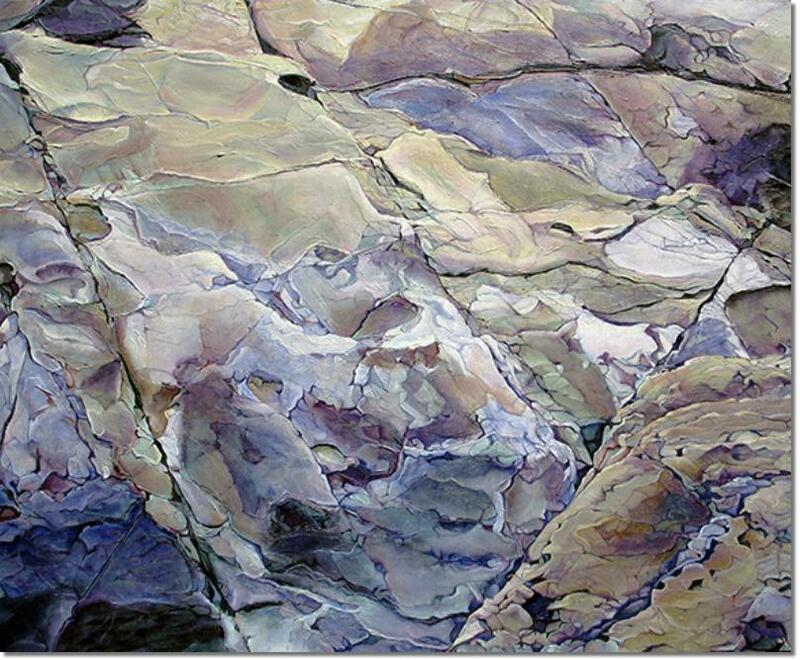 "I don't know a rock until I paint it"
A personal journey of discovery, this series of oil paintings entitled Formations features detailed studies of rock specimens found along the dramatic California coast. Since the series began, each painting has involved a quest to decipher the nuances of rock surfaces and textures in a formal, analytical manner. This concentrated approach to examining various types of weathering effects on rock materials uncovers an "inner life" of elaborate configurations.